directnaukri.com: South East Central Railway recruitment notificationreleased for Apprentice posts. 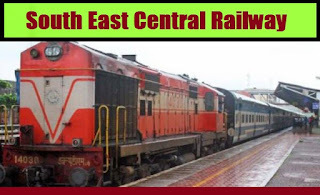 South East Central Railway recruitment notificationreleased for Apprentice posts. South East Central Railway recruitment notificationreleased for Apprentice posts. Total no.of vacancies are 432. All interested job seekers / applicants must read below recruitment details carefully. If this job opening is suits for you, you can proceed to apply the post or attend the interview. Qualification For This Vacancy : Job seekers / Applicants must complete 10th Class examination under 10+2 system of Education or its equivalent or ITI Course in relevant trades to apply for this position. For complete Qualification details you must visit official notification i.e Given below. Age Limit For This Vacancy : Job seekers / Applicants age in between 15 to 24 years as on 01.01.2018. 3. 10 years for Ex. Serviceman & PWD Candidates. For complete Age limit and age relaxation details you must visit official notificationi.e Given below. For complete details about selection procedure you must visit official notification i.e Given below. Application Fee For This Vacancy : Applicants need to pay Rs. 100/- through OnlineDebit Card, Credit Card & Net Banking. For complete details about Application Fee you must visit official notificationi.e Given below.